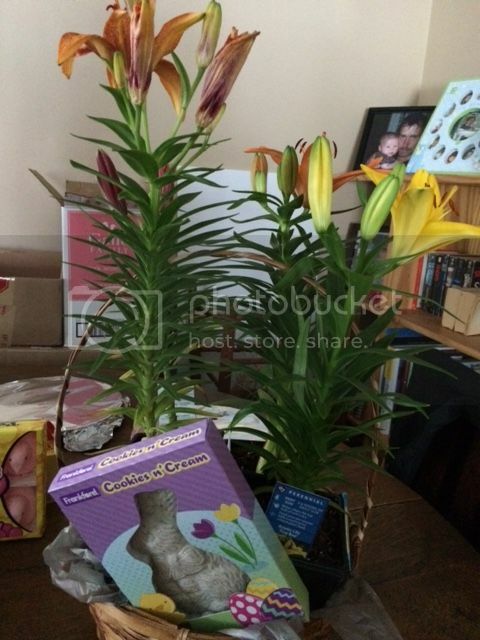 It was April 5, 2015 when Easter Sunday falls, when the Easter Bunny come to your home last Easter Sunday? Well, it did come to us and left us some goodies to enjoy. It's most exciting for our 5 years old to wake up and find more eggs around the house, though we stopped for a while because we went to my SIL's place to celebrate Easter with the rest of the family. It is also a mixture of emotions in the family, as it was the first Holiday that my Mother in law is not around. It is quite sad, missing her out of the Big Event however, wherever she is, I am sure she's happy for eternity. Moreover, after spending the whole afternoon to my SIL's place, we went home earlier in order for our son to have enough time to seek the rest of the eggs as well as to find his Easter Basket. Though, the seeking turned to be boring for him after hours of looking for the basket, with a million of hint we gave him, he finally found his Easter basket. Apparently, our second child and I also got our basket on the table. For now, it is easier for the child number 2 to find his basket on the top of the table as he totally has no clue what's going on yet. It was kinda fun for our child number 1 as he knows that he got a lot of stuff in his Easter Basket. And as for the rest of the day, we do spend it with our family by watching a good movie. 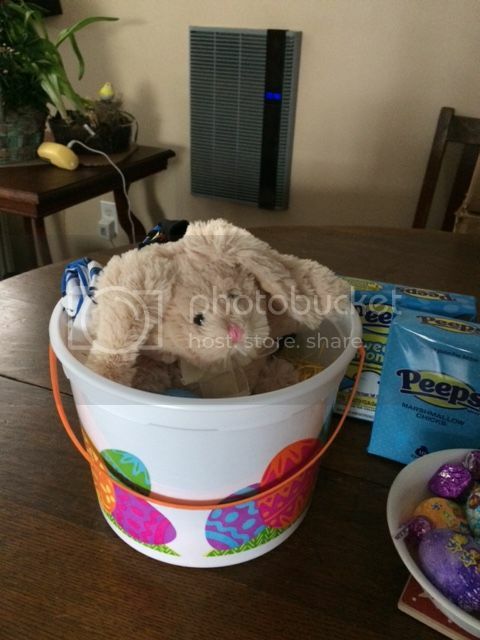 I'm bad, I didn't get the chance to capture our child number 1's Easter Basket before he pulled each item inside. What about you? How did you celebrate your Easter Sunday?